Intake Cottage is beautifully situated between the villages of Low Row and Gunnerside in the heart of the Yorkshire Dales National Park. A classic example of an 18th Century Dales country cottage and part of an original farmhouse. It was originally used by the current owners as a World War II retreat. 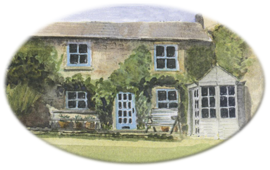 Since then the Kent’s have been refurbishing and maintaining, holidaying and letting Intake Cottage for over 35 years. 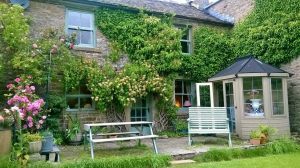 Intake Cottage is south facing and has a lovely country garden that enjoys panoramic views of the Yorkshire Dale and the river Swale (old English for ‘the wild one’) running a stone throws away. Swaledale is renowned for its wild flower meadows, sheep, dry stone walls, hay and cattle barns, lead-mining ruins and its fast flowing river. The holiday cottage is ideal for exploring Swaledale. Only 10 or 20 minutes away from other nearby areas of beauty such as Reeth, Muker and Keld, and beyond that the Market Town of Richmond. Copyright (c) 2012 www.holidaycottageswaledale.co.uk. All rights reserved by Intake Cottage.